So far, 2019 seems to be establishing itself as a year in which the cultural Marxists are intensifying their war on traditional masculinity. But it may turn out to be the year in which the misandrist tide begins to turn. It is not real. Toxicity is not an inherent feature of masculinity, just as “stoicism, competitiveness, dominance and aggression” are not inherently bad – far from it, in fact. Without those propulsive masculine qualities, which the APA deems harmful, humankind would never have elevated itself from cave to civilization. Unfortunately, the term “toxic masculinity” has become deeply embedded in our cultural consciousness now and is being conflated intentionally with traditional masculinity. That’s because the endgame of the totalitarians pushing this concept is to emasculate Western civilization in order to erect a collectivist utopia in its stead. Encouraging men to aspire to their best character is actually an admirable message. Men should strive to be the best husbands, fathers, sons, the best men they can be. Bullying and sexual harassment (neither of which is exclusive to men, by the way) are unacceptable. But consider the context in which this ad appeared: the aforementioned APA report labeling traditional masculinity harmful; the ongoing demonization of men via the out-of-control #MeToo movement; the relentless messaging that masculinity is an outmoded cliché, something that must be discarded for us to evolve; and behind all this, literally decades of vicious browbeating from feminists whose goal is not equality but the eradication of masculinity. Then along comes this virtue-signaling Gillette ad stating that only “some” men are decent and the rest are pigs. For many, that may have been the last straw. Social media swarmed with men (and supportive women) swearing off Gillette products. 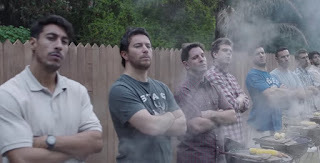 Op-eds defending masculinity, and denouncing the ad as ill-advised at best, abounded. Of course, the Left embraced the ad (imagine their apoplectic outrage if an ad campaign dared to address “toxic femininity”). One male Twitter user remarked that “if your masculinity is THAT threatened by an ad that says we should be nicer then you're doing masculinity wrong.” This is way off the mark. Men weren’t threatened by the ad; they were insulted by it. It sparked widespread anger because men are fed up with being demonized. They are fed up with having masculinity equated with bullying and sexual harassment. They are fed up with being told that their very nature is poisonous and that redefining masculinity means acting like stereotypical women. Countless good men who are quietly leading lives as protectors and providers and role models and unacknowledged heroes are fed up with the cultural insistence that masculinity is a dire problem instead of a dynamic life force. The pushback against the Gillette ad and the APA report are evidence that the Marxist assault on Western masculinity is finally beginning to be met with resistance. Men and the women who love traditional masculinity (i.e., the majority of them) are getting mad as hell and they’re not going to take it anymore. Is the Right Underestimating Ocasio-Cortez?